Like many around the world, I was saddened to hear the news that one of televisions iconic actors, Andy Griffith, died this morning at the age of 86 years old. I guess in the back of my mind, I had always felt that as long as Andy was still alive that Mayberry lived on as well and Mayberry was and still is a place I would love to live. In fact, I suspect that if Mayberry really existed and everyone who wanted to live there could, it would be more like the size of Atlanta than my hometown of Jackson. Mayberry personified small town Southern living, usually at its best, complete with the cast of local characters that, to some extent, every small town has. There was Sheriff Andy Taylor, the lead character and his bumbling but honest Deputy Barney Fife. They were the central nucleus of the show and the comedic synergy that existed between the two propelled the Andy Griffith Show to the top of the ratings charts for many years. While technically, Andy was the lead character, it was Don Knott’s portrayal of Barney that quickly stole the show and Griffith was more than content to play the straight man in the relationship. In fact, even in character, Sheriff Andy often let Barney solve the problems (with his help) and get the credit for doing so. It was just how Andy was. Andy valued the basic tenets of good living: honesty, integrity, wisdom, strength, character, compassion and of course, a good dose of humor which he found in almost every situation. His core values made him the most respected man in town and he carried this responsibility with a lightness in his heart that belied the real burden he had to carry at all times. In many ways, he reminded me of my grandfather the preacher, himself a great teller of stories imparted with a wise but folksy delivery that put every listener completely at ease. People believed in and looked up to Andy then and they still do today. As a widowed father raising his only son, he excelled in most cases but like real fathers, he sometimes found himself in the wrong and when he knew he was, he admitted it and learned from it. I remember an episode when he wrongly assumed Opie had done something wrong when in fact, he had done a noble thing because of the example his father had set for him. No one but Andy Griffith could have played the role better, showing the hurt that he felt for having thought badly of his son while at the same time, showing the pride of a father who realizes that at the moment, his son is a better man than he himself is. It was priceless. Another episode and the funniest moment I have ever seen on television was when Andy and Barney were singing in the town choir for a choral event and everyone pretty quickly realized that Barney just couldn’t sing (although he could sing pretty well in a duet with Andy and his guitar). Rather than hurt Barney’s feelings, Andy arranged for Barney to unknowingly sing into a dead microphone while the live mic was behind a curtain. An older man with a strong bass voice sang into the live mic while Barney sang softly into the dead one. The look on Barney’s face as this rich bass voice seemingly came from Barney’s mouth was a moment of television comedy that I will never forget. The two by themselves were great but they were surrounded by one of the strongest supporting casts that has ever been assembled, a cast so good that despite the comedy element, they made Mayberry believable and desirable as a place to live. Opie, who was Andy’s son, grew up on the show and it was fun to watch him evolve from a small but very bright and inquisitive child into a thoughtful, intelligent teen that any parent would be proud of. When I watch episodes of the show, I marvel at how much he reminds me of my own son in the way he thinks through a problem or how he perceives a particular situation. My son enjoys watching the show as much as I do and he takes a keen interest in what Opie does in his daily living. Aunt Bee, who lived with Andy and Opie, is another favorite of mine, encompassing all of the qualities that I so admired in my own grandmothers; wisdom, compassion, love and generosity, mixed in with a touch of humor. A woman of big heart and uncompromising love for her family, she was also given to human foibles as well; she loved to gossip (though she steadfastly denied this); she was highly competitive with her peers when it came to who could make the best pickles (not her it turned out) or who could bake the best cake and she could very easily get her feelings hurt. Aunt Bee embodied all of those traits one expects to find in a “little old lady” from a small town in the Southern United States and her fans adored her for that. Others rounded out the cast including Gomer and Goober Pyle, who ran the filling station; Floyd Lawson, the laid back barber; Otis the town drunk who arrested himself weekly and locked himself in the jail; Ernest T. Bass, the only character who could rival Barney in comedy and who rattled his cage like no other character could (How do you do Mrs. Wylie? 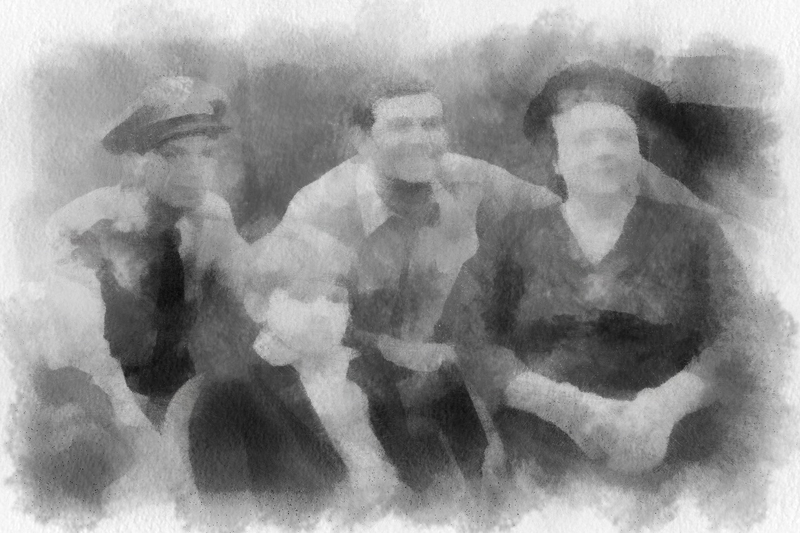 ); the talented hillbilly Darling family, from the surrounding mountains; Howard Sprague, the efficient if naive (nave as Barney would say) County Clerk; Helen Crump, Opie’s teacher and Andy’s love interest for most of the show’s run; Thelma Lou, Barney’s long-suffering girlfriend and many others who appeared over the years. Even characters never seen or heard on-screen became known to the viewers through one-sided telephone conversations such as Juanita at the Blue Bird Cafe and Sarah, the local telephone operator. Even the opening credits scene was iconic in its own way; the image of Andy and Opie heading down to the “fishing hole” with the familiar theme song being whistled in the background will forever be associated with a half hour of homespun humor with a healthy dose of family values and morals that everyone can relate to. For many, it is a nostalgic theme that transports them back to a simpler time and place before life and the world became so complicated. All of the the characters and the theme of the show wove a rich tapestry of small town life, complete with the problems and pressures of the times, yet all solvable within the thirty minute time slot allotted to the show. In Mayberry, the streets were clean as big shiny cars bedecked with tail fins glided down them. People waved as you passed by and stopped to talk to you on the sidewalk. Strangers were regarded only as a mild curiosity and quickly became part of the small town dynamic that existed. Dinner was held at six o’clock in the evening, after which you retired to the front porch, lulled into a sense of contentment by the gentle cadences of human conversation, the soft chirping of crickets and the rocking motion of a porch swing. Who wouldn’t want to live there? I certainly did and growing up, I enjoyed those brief opportunities to be pulled into that idyllic black and white world of simple times and simple people. My Dad loved the show as much as I do and he passed that show on to me. It is one of the few topics we can discuss for hours without covering the same ground twice. Each character had extraordinary depth and you felt like you knew everything about them. You pulled for them when they struggled and you cheered for them when they overcame an obstacle. You laughed with them, cried with them, rejoiced with them and grew with them. They were not actors on a screen but people who you cared about, people who mattered to you because you could relate to them, especially if you grew up in a small town like I did and knew people just like them. To Andy Griffith, I hope you find peace in Heaven, for you certainly shared a piece of it with each of us when you gave us the town of Mayberry. I like to think that this evening, you will once again join Barney and Aunt Bee on that big front porch for a tall glass of iced tea, some soft music on your guitar, easy laughter and lively conversation. What I wouldn’t give to be a cricket on that porch for one night! I will always love Andy, and I loved this tribute to him!